the FILO stack and can be accessed using a Pop block.) Enjoy. 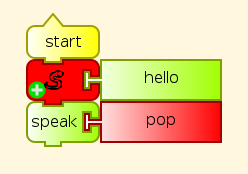 >>> The AIML engine in Speak is written in Python. >>> response: I don't know what to say. >>> type: How are you? >>> type: say: I'm fine, thanks. How are you? >>> response: I'm fine, thanks. How are you? >>> response: I dont' know what to say. >>> could then trigger the engine to add the response as a rule. >>> except in response to questions. 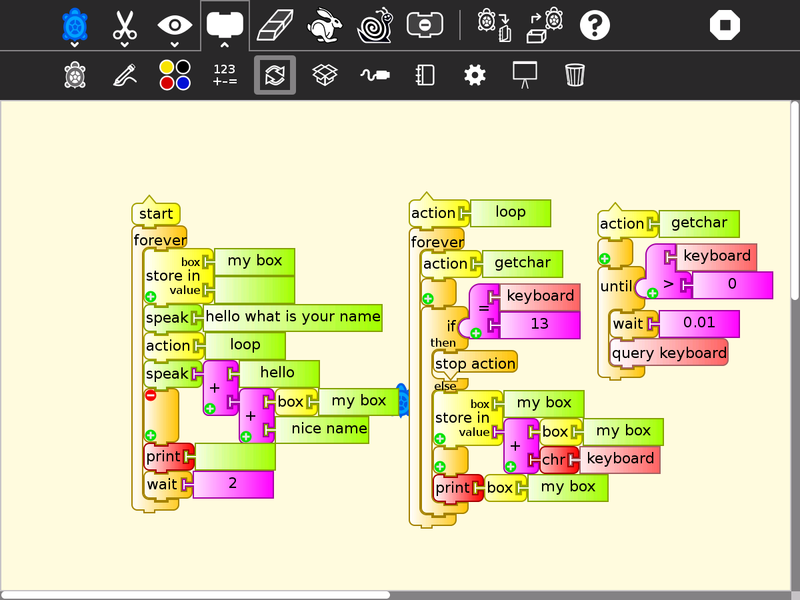 >>>> than "Re: Contents of IAEP digest..."
>>>> Subject: Re: [IAEP] Emulating Alice in Turtle?